BBC Parcels does exactly this. The ability to send links, clips and almost anything else from across the BBC service, allows users to share in a quick, simple and engaging way. It is not based on top tens, or social networking style comments. It is a personal, spontaneous process. It creates the same feeling as opening a real parcel, and is based on recommendations from someone who knows what you like. This bar will remain open until sent, saved or closed. just iPlayer, when adding content to their parcel. 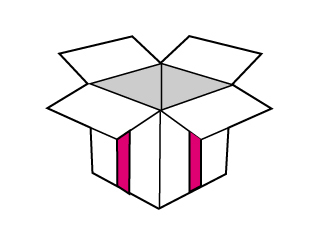 The user simply clicks and drags an image from the main window, and the link is placed into the parcel. A tag is added along with a thumbnail of the content. A major feature of BBC Parcels is the ability to add clips to your parcel. Using the create marker icon, users can highlight the exact point of interest within a video to the recipient. When the user has completed putting the parcel together, they can then add a message and recipient details before sending. Parcels could be sent to numerous emails, or Facebook, creating chains of distributed content. 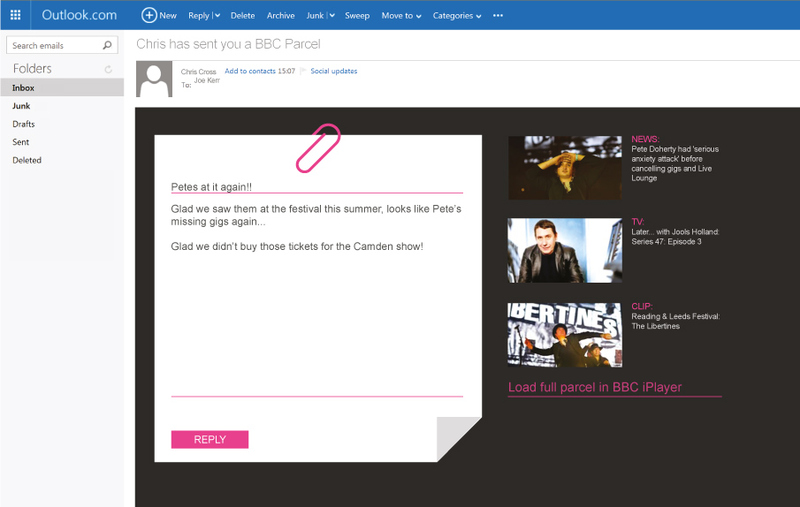 The parcel can be sent by personal email, linking to the created parcel within iPlayer. The recipient can click the link to access all the enclosed information, including any clips that have been marked. The recipient is also encouraged to return a parcel, and in this way the sharing of BBC content should begin to flow. Alternatively the parcel can be sent to Facebook, as either a wall post or message. 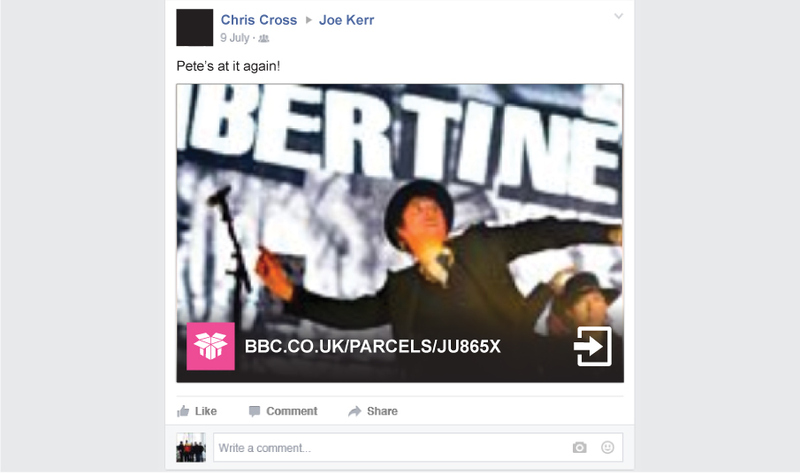 Tapping into Facebook’s vast network of people, BBC Parcels could be used as a neat alternative to sending plain links. YouTube videos are currently very popular posts on Facebook, BBC Parcels could become the new method of sharing. BBC Parcels is a simple idea. It is not meant to be complex, or exclusive. It’s sole purpose is to create a method of sharing, and create loops between friends and relatives. The key is that the functionality of the product means it is as easy for a grandmother to share a parcel of CBBC articles and games with a grandchild, as it is for a younger man to share festival highlights with a friend. The key is the spontaneous way it can be used to share BBC content from across its entire service. Creating a mobile compatible version of BBC Parcels would be a natural progression to the service, and a way for people to reply on the move. By simply adding a parcel tab to the current menu options, a symbol would appear next to all suitable media. By tapping the symbol it would be added to the parcel. The parcel could then be reviewed, a message attached, and sent in a similar manner to the web based service. Although it would be a simpler proposition, without drag & drop and clip creation, this would still promote the flow of parcels back and forth between users.